This classic strawberry rhubarb jam is sure to win you over with its wonderful burst of fresh, fruity flavor! Growing up I always looked forward to rhubarb season. One of my favorite desserts that my mom made was rhubarb crumble. Sweet and juicy rhubarb topped with a buttery oatmeal crumble with a big scoop of ice cream melting on top…it was always a family favorite. We have a lot of rhubarb growing on our property and since splitting the crowns last year and again this year, we have plenty of rhubarb to go around. One of my favorite ways to preserve it is to make rhubarb jam. It’s delicious with rhubarb alone but coupled with strawberries it’s pure heaven. Don’t worry about the fact that we’re using less sugar than many recipes call for, it is plenty sweet as it is. This strawberry rhubarb jam doesn’t call for pectin. It thickens up through the long cooking process and the inclusion of the seeds from the lemon which are rich in pectin. However, for a lighter/redder color and more slightly more jelly-like consistency, you can follow standard instructions for using pectin instead. Whichever route you choose, I’m sure you’ll love the jam as much as we do and if you can it you enjoy that burst of fruity flavor all year long! 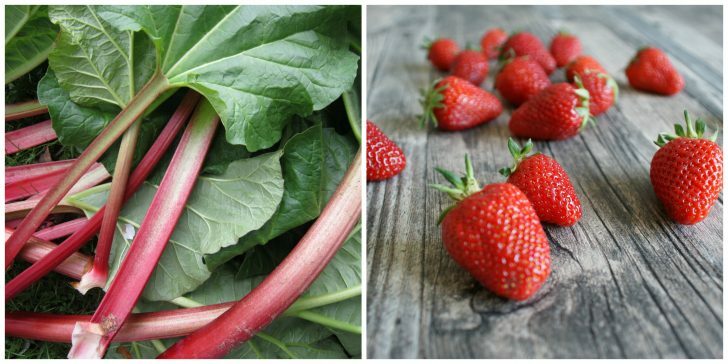 Place the rhubarb and strawberries in a heavy medium-sized saucepan. Add the sugar and the fresh lemon juice, reserving the lemon seeds. Place the seeds in a sachet/tea bag/or bit of tied cheesecloth. Bring everything to a boil. Reduce the heat to medium-low, add the lemon seeds/sachet in the mixture. Continue to gently simmer the jam for about an hour, stirring occasionally, or until it reaches 220 degrees F. You’ll know the jam is done when you spoon a bit of it onto a cold plate (place it in the freezer) and it sets. This makes 4-5 cups of jam. For long-term storage (at least one year) can the jam as follows: Sterilize 4 half-pint jars (or 2 pint jars) and their lids and bands. Bring a water canner to a boil. Fill the jars with jam leaving 1/4 inch headspace from the top. Use a wet cloth or paper towel to wipe the rim to make sure it’s clean. Place the lids on the jars and screw on the bands. 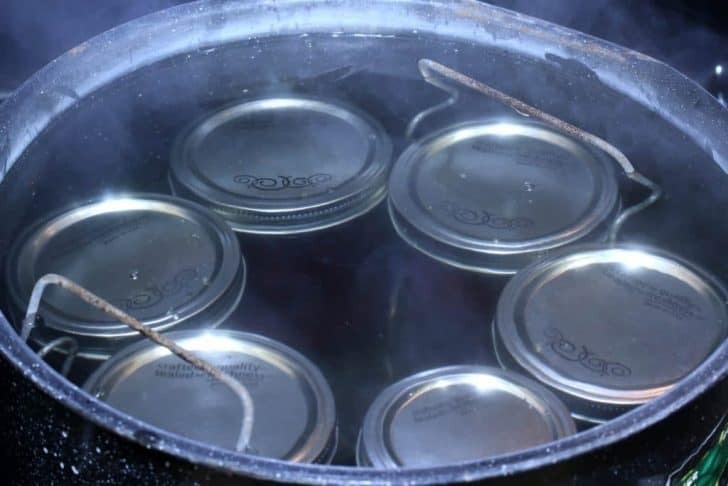 Carefully place the jars in the canner so they are not touching and so that they are covered by at least an inch of water. Boil for 10 minutes. Carefully remove the jars and let them sit undisturbed for 24 hours before storing them. Store them in a dark, cool place and they will keep for at least a year. 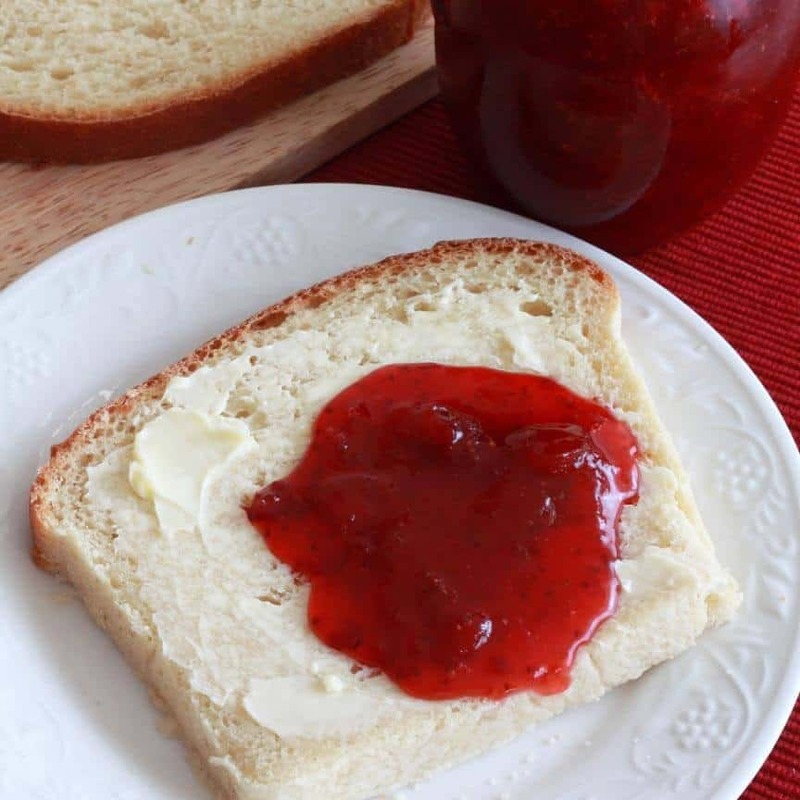 This classic jam is sure to win you over with its wonderful burst of flavor! Place all of the ingredients in a medium heavy saucepan. Bring the ingredients to a boil. Reduce the heat to medium-low, add the lemon seeds/sachet in the mixture. 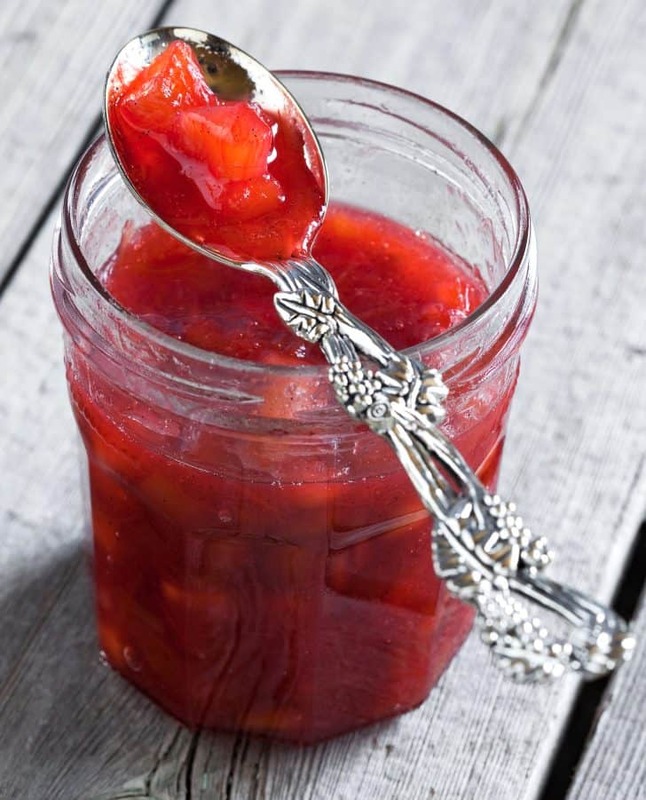 Continue to gently simmer the jam for about an hour, stirring occasionally, or until it reaches 220 degrees F.
If not canning, allow the jam to cool, pour into jars, cover and refrigerate. The jam will keep for up to a month. Fill the jars with jam leaving 1/4 inch headspace from the top. Use a wet cloth or paper towel to wipe the rim to make sure it's clean. Place the lids on the jars and screw on the bands. 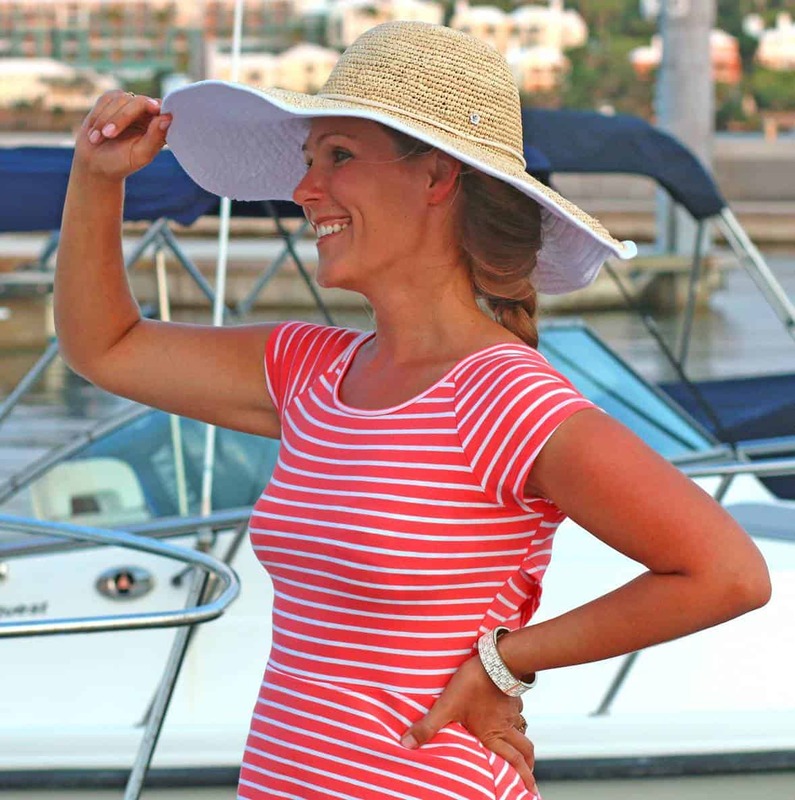 Thank you for sharing and just in time for summer! You’re welcome and hoorah for summer harvests and fruity recipes! I can think of so many uses for this! Looks so amazing!! This is exactly what I need to add to my list of what to do for summer. That looks and sounds so easy to make! I can’t wait to give this a try! I love a homemade jam! This I have to try! What a delicious way to use our rhubarb! 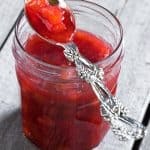 I just love strawberry rhubarb jam, but I have never tried to make my own before! :) Looks like I need to change that asap. I need to try this! Such an amazing combination!